JOKO? Yes, I was as surprised as you were when I first heard of this brand. 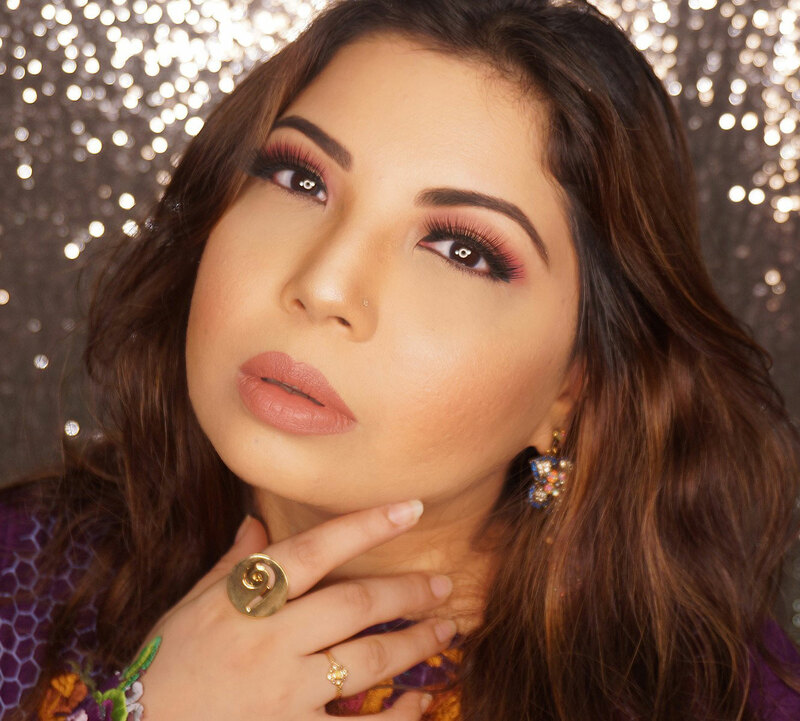 However, over the years, especially through beauty blogging, I have realized there are so many amazing beauty and makeup brands out there yet to be discovered. 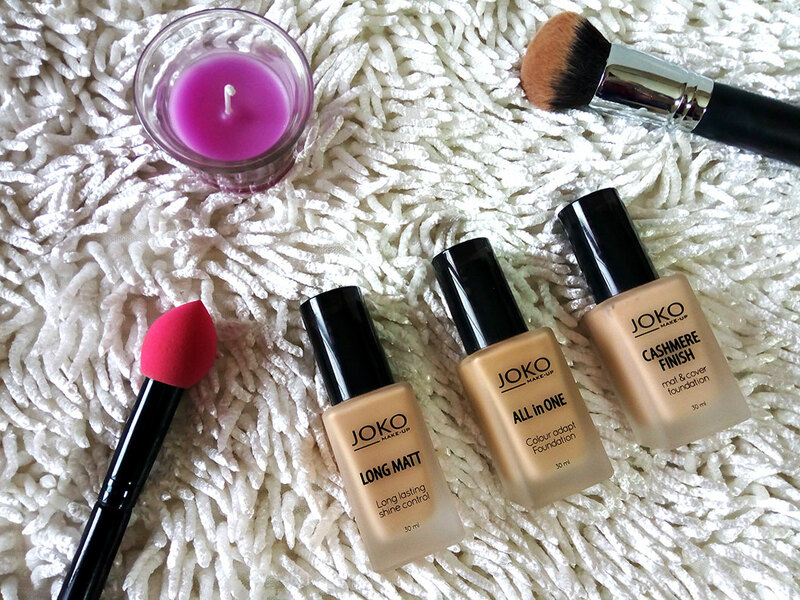 Therefore, say hello to *JOKO Makeup, my recent discovery and also very easily available in Pakistan. I will start with their foundation variants because I am hooked. JOKO Makeup is a Polish brand that was established in 1995, yup its not recent. Initially, the brand introduced pressed cosmetics like blushes and eyes shadows but over a period of time, which also seems like the right route, they expanded into lipsticks, foundations, mascaras and so much more. The brand is very famous in Poland and is also gaining global recognition. It was even officially launched in Pakistan a few months ago, lucky us. I will be reviewing many makeup products from this brand but wanted to start with the different foundation variants they offer. I have been testing their foundation variants for a few weeks now and pleasantly surprised with the results, well, mostly pleasant at least. Let's start with packaging, which is extremely basic yet you can feel the good quality of ,aterial they have used even for the box. The boxed packaging is in matt black finish with simple white text. It's also easy to open (we struggle a lot there with many other tough packaging!). All the foundation bottles inside are very similar in design; frosted squarish glass bottles with an easy to use pump and plastic cap. Long Matt is ideal for oily to combination skin, especially for the humid Karachi (tropical) weather. The thick liquid formula transforms into a powdery finish after application with medium to full coverage. It feels lightweight and is also breath-able. It may be matt but doesn't dry skin due to the formula containing Vitamin A, E and C which gives your skin a radiant, smooth finish while taking care of it. The foundation covers and camouflages light marks as well as blemishes and also tightens pores. You can actually wear this without a primer, I tried that and the results were satisfactory. As per brand, this foundation has special micro-beads which are spherical shaped, giving an illusion of a soft Focus effect by changing the angle of incidence of light on the skin. That minimizes the appearance of imperfection on your skin, sounds interesting doesn't it? I tested this not only on my skin but also my mothers and the skin does visibly look smother and youthful. Available in five different shades, capacity is 30ml and retails at PKR.1.300/- You can buy it HERE. If you use code J4GRA5 during checkout you will get 5% discount on your purchase! 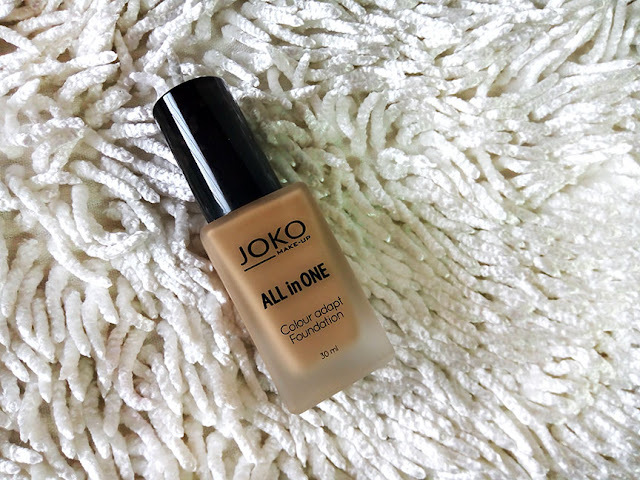 I think I found my daily wear foundation and JOKO All-in-One is IT! Even though I do like the Long Matt variant I am more in love with this one. Apart from being a liquidy, lightweight formula, enriched with moisturizing ingredients, it also has a primer, therefore, it minimizes pores. 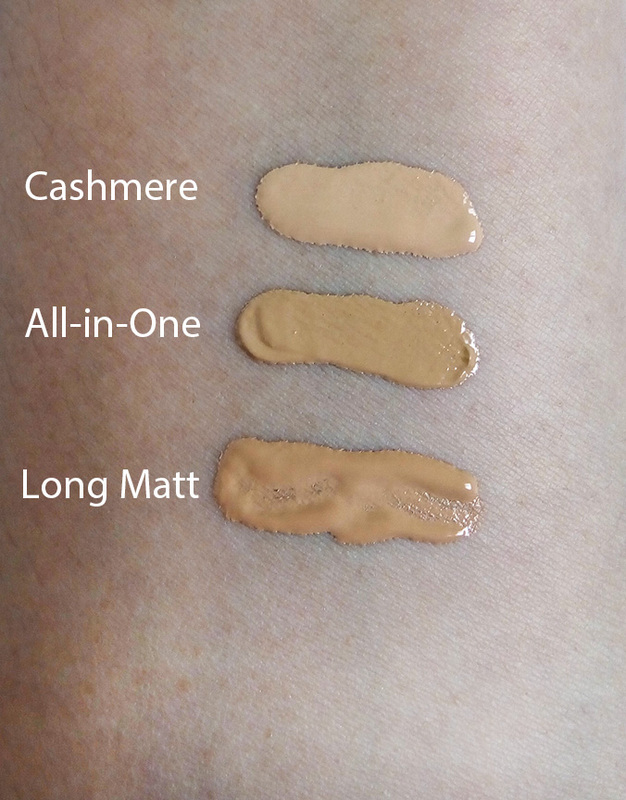 It has a sheer to average coverage and it feels like your second skin after application. I find this to be a great alternative to BB creams. It goes on as matt and is not sticky even though it give a subtle glow, makes my face look fresh, not dull. Additionally, it is SPF10, maybe not a lot of spf but good enough. As per brand, the Bezparabenowa formula is enriched with SEPILIFT DPHP - amino acids of vegetable origin which help fight against aging. 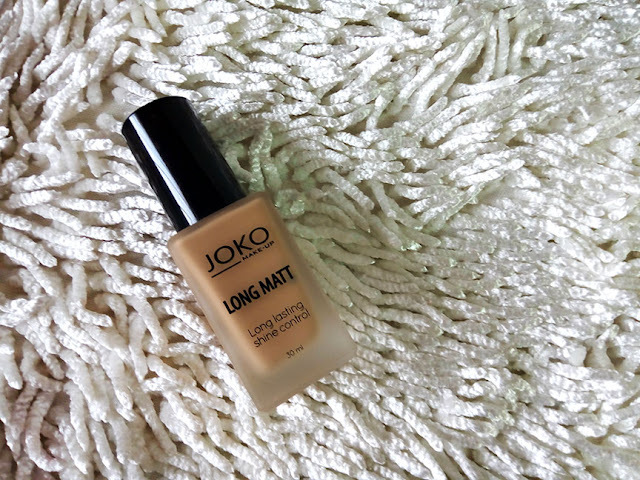 Now all this as well as hands on experience has made this foundation part of my daily makeup essential (Note: I don't use makeup when I am at home!). I am still trying to use it with all it's benefits, though there are less benefits compared to the other variants. 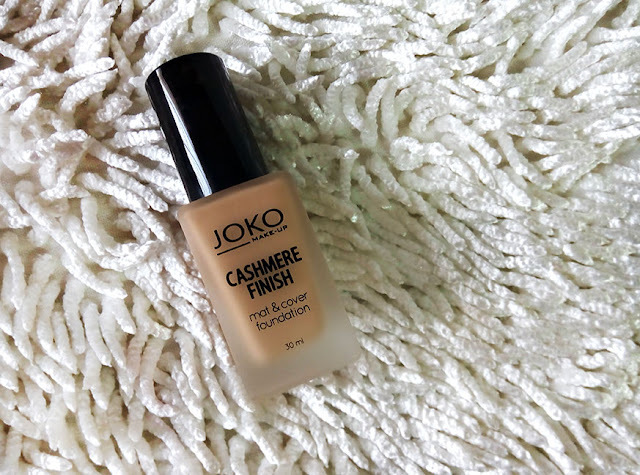 Cashmere finish is not a bad foundation as such but I am not sure if it's for me. The formula is creamy and thicker than Joko Long Matt and All-in-One and give a full coverage. I feel it's better suited for skin that is less textured than mine as well as for professional, super long lasting use. The foundation was a bit heavy on my skin though I am still trying to see how to better use it. The formula gives your skin a very matt, velvety smooth finish but also nourishes it without drying. It's ideal for all skin types. The staying power is longer than Long Matt. Even though the least favorite of all variants, I don't hate it. JOKO Makeup is easily available online on different websites but I prefer purchasing from Just4girls.pk as per experience of shopping there for years. (Plus you can get 5% discount during checkout if you enter code J4GRA5). 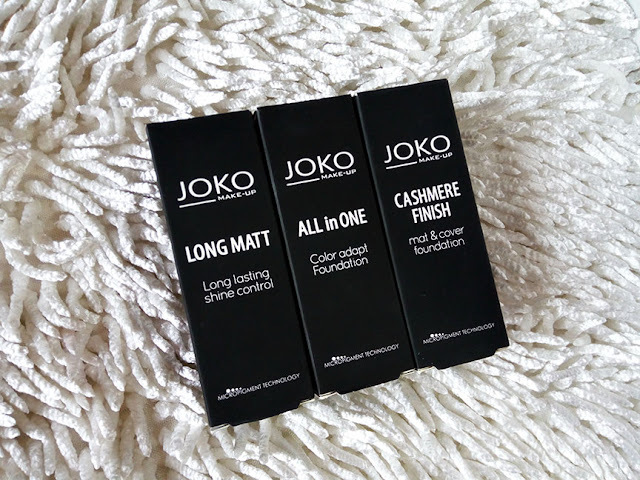 You can also get more JOKO Makeup updates from their FACEBOOK page. 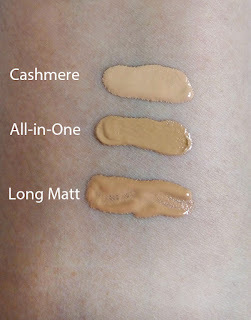 I liking the All in One Foundation and the long Matt one. The review is very good and helpful. I might try those two out. Joko colour adapt foundation looks different from others as it has primer in it. Will like to try it. Thanks for sharing your detailed review. Yes it is quite a different variant. do let me know what you think when you try it. Sounds like a good foundation and an affordable one too. Seems like a brand I would want to try out! :D thanks for reviewing them in detail!